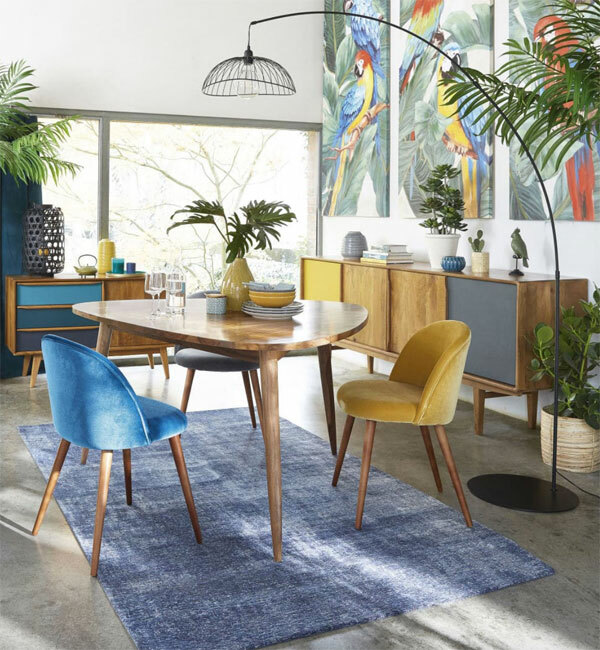 1950s Brazilian modernism is celebrated with the Janeiro midcentury modern furniture at Maisons Du Monde. Yes, that name is no mistake. 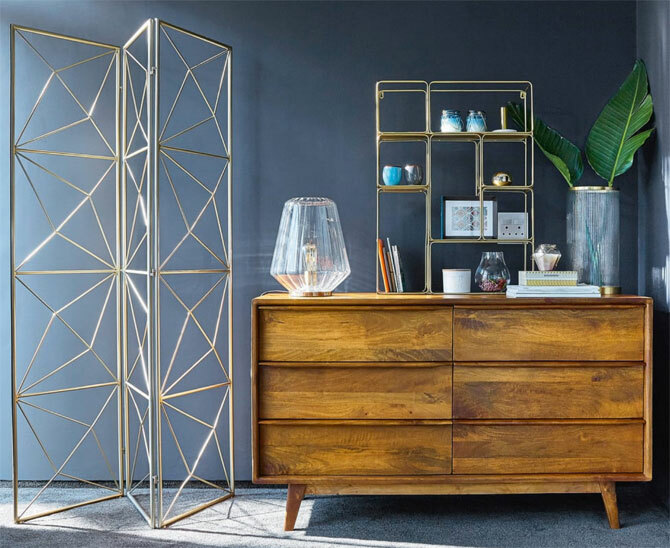 This furniture range at Maisons Du Monde celebrates cutting-edge design out of Brazil in the middle of the 20th century. 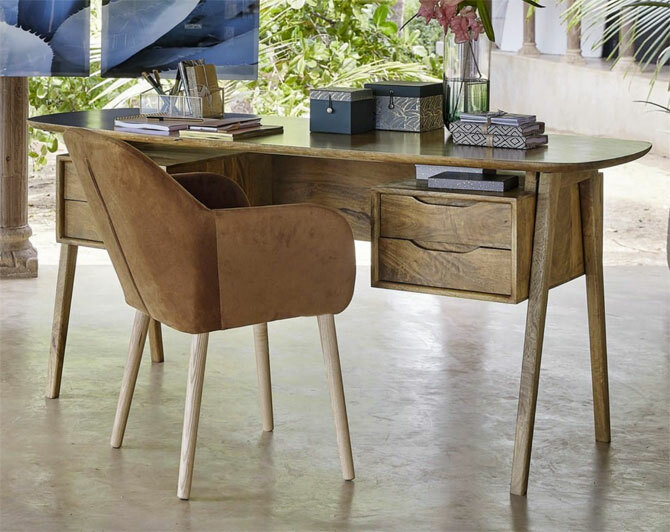 The subtle curves, the shade of the wood and the use of colour all hint at timeless Brazilian design of that era. 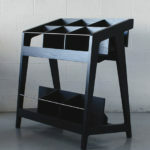 But without the asking price of original pieces, which always seem to be on the rise. 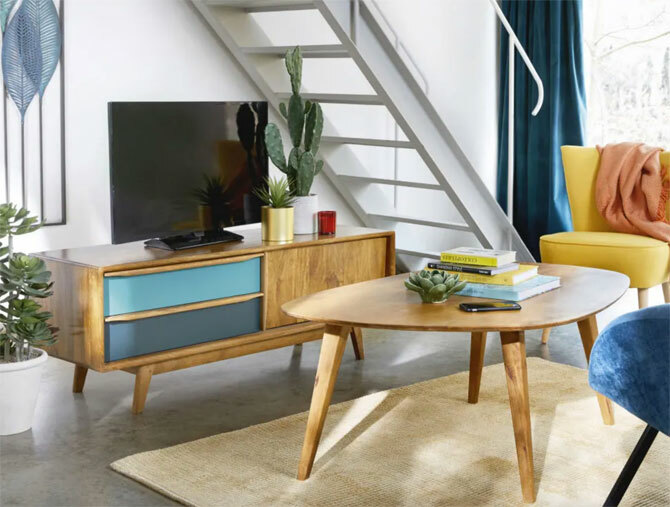 The range uses mango wood to create a number of furniture designs, those being a sideboard in two different sizes, a sideboard with drawers, two other drawer units, a coffee table, TV unit or a vintage-style desk. 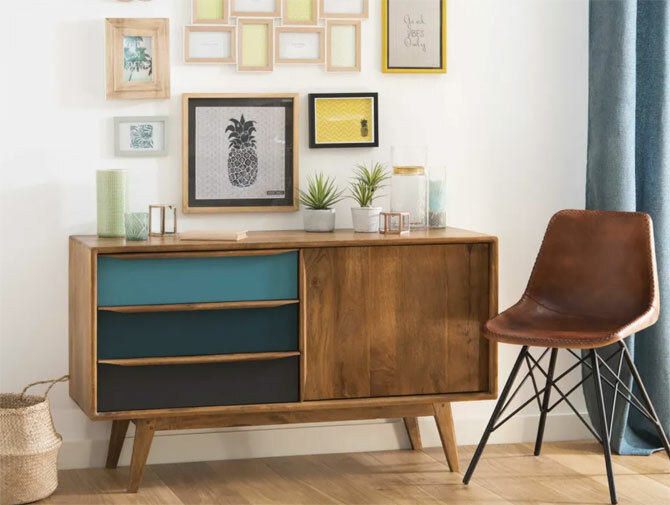 All would work alone, but if you are on the hunt for a range to kit out either a living room or a vintage-style home office, then you should find all you need in this particular selection. 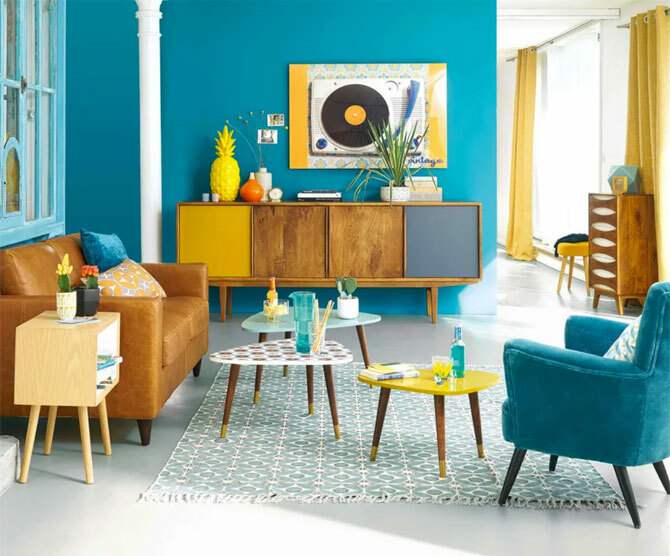 For me, the pieces with the splash of colour are the winners, much the like the ‘rival’ Ronda furniture collection at La Redoute (although both ranges have their own distinctive looks). 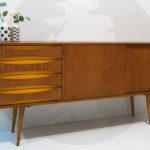 Both sideboards are winners, especially the long sideboard with the yellow and black panels. But the smaller one has impact too – and for a lot less money too. 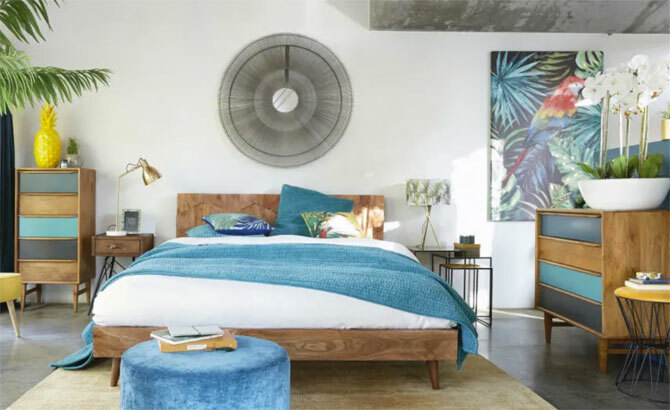 Have a look at everything in the range here and make up your now mind, but I’m guessing the pricing will have an impact on buying. 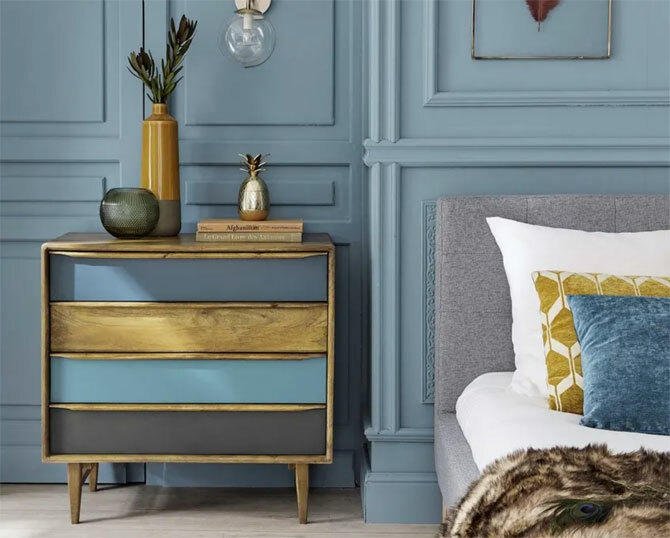 as a guide, the long sideboard is £699.50, the smaller one £399.50 the sideboard with drawers is £599.50, the drawer units are from £399.50, the coffee table is £160, the TV unit £432 and the desk is £574. 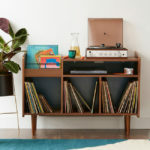 So not cheap if you buy a number of pieces, but you really don’t have to. 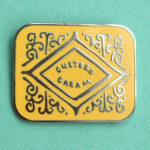 as I said, these are great standalone items as well and you can always gradually pick up each one if multiple designs appeal.